Someone said, God is looking for not only a clinging bride but also a walking partner. From the very beginning, God had a relationship with Adam and Eve that found them "walking in the garden in the cool of the day" (Genesis 3:8). Enoch was the first man to uncover the true delight of walking with God. After he begot Methuselah, Enoch walked with God three hundred years, and had sons and daughters. So all the days of Enoch were three hundred and sixty-five years. And Enoch walked with God; and he was not, for God took him (Genesis 5:22–24). You see it is God’s desire that we walk with Him and He has put this desire in us so that we walk with Him. I believe this was the reason that Peter desired to walk with the Lord on the water. The big question: How do I walk with the Lord? 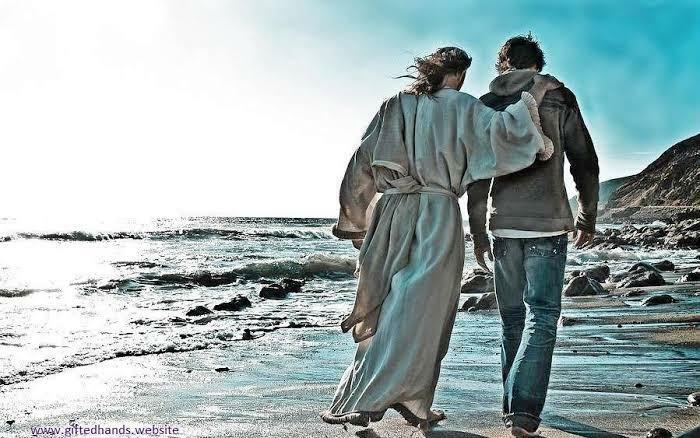 Notice, what Peter said, “Command me to come to You on the water” In other words, Peter said, “Lord speak the word so that I can come to You walking on the water.” Peter knew from experience that if Jesus spoke something, it would come to pass. Walking on water seems like a difficult proposition but actually walking on the Word is much like walking on water. Now I am not asking you to literally walk on water, but for you and me to walk with the Lord, our life must be based on the foundation of God’s word. If we base our choices, our decisions, our desires on the principles of God’s word, we will never sink. Instead we will end up walking with the Lord and create history. Faith is not a leap in the dark but a leap on the Word of God. For you and me to join the rare breed of overcomers, we need to base our entire life on the word of God. David understood the secret of basing his life on the Word of God. This is one secret that made walk closely with the Lord. Not only this but it also made him the king of Israel. Father, help me to base my life on Your Word. Speak to me as I read the Bible. Remove all other voices that distract me. In Jesus name. Amen.